The report also suggests India has huge potential to continue its phenomenal growth when it comes to internet usage. CHENNAI: India has overtaken the United States in terms of Internet usage and now stands next only to China after witnessing a phenomenal 40 per cent year-on-year growth. On the other hand, global Internet user base is shrinking. With 277 million Internet users in 2015, India is the only big country to have registered an increase in the number of Internet users, the Mary Meeker’s 2016 Internet Trends report released on Wednesday night says. “From 33 per cent in 2014 to 40 per cent in 2015, the country has witnessed nearly 40 per cent year-on-year increase in those taking to the medium,” the report by Mary Meeker of Kleiner Perkins Caufield & Byers, an investment firm, said. 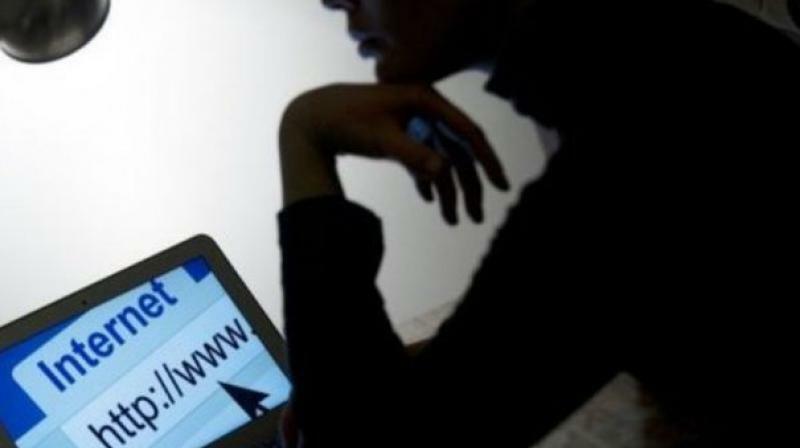 The report says the global Internet user base grew only 9 per cent in 2015, reaching 3 billion or 42 per cent of the world’s population and goes on to add that if India is excluded from this list, the growth would come down to 7 per cent year-on-year. The report also suggests India has huge potential to continue its phenomenal growth when it comes to internet usage as only a little over 22 per cent of the Indian market is penetrated by the new medium. Experts say this offers scope for huge growth, particularly in the mobile sector. “The excitement about the Indian Net explosion is due to the booming market in smartphones, which are no more the prerogative of the rich. With prices as low as Rs 5,000-6,000, even middle and lower-middle urban employees or students and a rural artisan is able to possess one. For farmers and other urban artisans, the smartphones also help find better farm markets and jobs on the Net. All this makes India a fast growing Net terrain on the globe,” Kiruba Shankar, CEO, Business Blogging, told this newspaper. “It is a wonderful thing that India has taken over the US in Internet usage and the report says there is huge scope for growth in smartphone market as well. Not just the urban population, even the rural masses are taking to the Internet. The number of people using Internet and smartphones is zooming and that is a good sign,” he said. The report said the smartphone market is witnessing a slump as it registered at least 10 per cent reduction in growth with 21 percent year-on-year as opposed to 31 percent year-on-year in 2014. Asia Pacific, which includes countries like India, accounted for 52 per cent of total smartphone market, which also saw a drop. The growth that India has witnessed is not driven just by an existing low penetration, but also due to availability of low-cost smartphones as one could buy a smartphone for just $158, which is among the lowest in the world. Yet another bright spot on the Net is the booming revenue it has been generating, as global giants like Google and Facebook gobble up almost 76 per cent of online advertisement in the US.